Why You Shouldn’t Perform Electrical Repairs Yourself | Piper Electric Co., Inc.
It’s the 21st century: don’t deny it, you are dependent on electricity, and you are not alone. Sure, it’s fun to hunker down with some candles and flashlights in a thunderstorm, but if your electrical issue extends past an evening, when your refrigerator gets warm or something more dangerous arises, you have a major problem on your hands. Fine, you think, I’ll pull out my tools and deal with this myself. No, please please don’t. 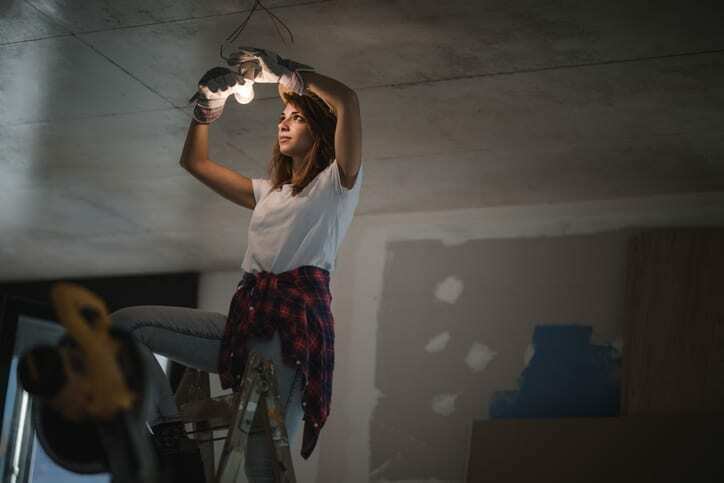 DIY projects are a rewarding way to invest some personal know-how into your home and make it really feel like your own. A good landscaping project adds personality and a successful carpentry endeavor is a proud reminder of your capabilities. But for the high stakes work of electrical repairs and alterations, hiring a professional is your best option. Carefully replacing a fuse or rewiring a socket may be perfectly reasonable for you to do on your own, depending of course on your experience and knowledge. Anything else and you could be dealing with high voltage and enough amperage to do serious damage to yourself, your home, and even the entire electrical grid in your area. Depending on how your home is integrated into its surroundings, you may not have the know-how or the ability to shut off power at the source. Even if you do, you may not have the proper equipment or authority to make sure no one can come along and turn it back on while you have your hand on the wires. The human body functions as a resistor when it connects a live electrical circuit to the ground. As current passes through, the resistance generates heat. A current above 20 milliamps can be fatal, and with the 15 (or 20) amps maximum provided in an average US household, you may be safe with dry, unwounded hands. However, if the voltage is changing, your skin behaves more like a capacitor than a resistor and your watery insides will feel the effects of a much higher amperage flowing through your body. Aside from the obvious dangers of skin contact with a live wire, the dangers of arcing, when electricity jumps across air to the nearest conductor, are very severe and can be fatal, not to mention hugely damaging to your home. Human risk while working is pretty straightforward, but the damage that could be incurred by a poorly done repair can also be costly and dangerous. Faulty electrical connections pose a serious fire risk which can ruin your home, and overloading your grid can cause problems for your neighbors as well and even lead to legal disputes if you are not licensed and insured for your work. It is tempting to take all of your household repair needs into your own hands, but for electrical repairs, the risk just isn’t worth it. Electricity has become integral to modern life and you want to be able to use it safely and consistently. Bring in a professional to make sure that your house is wired properly and safely, and prevent the financial and physical burdens of a potential misstep.